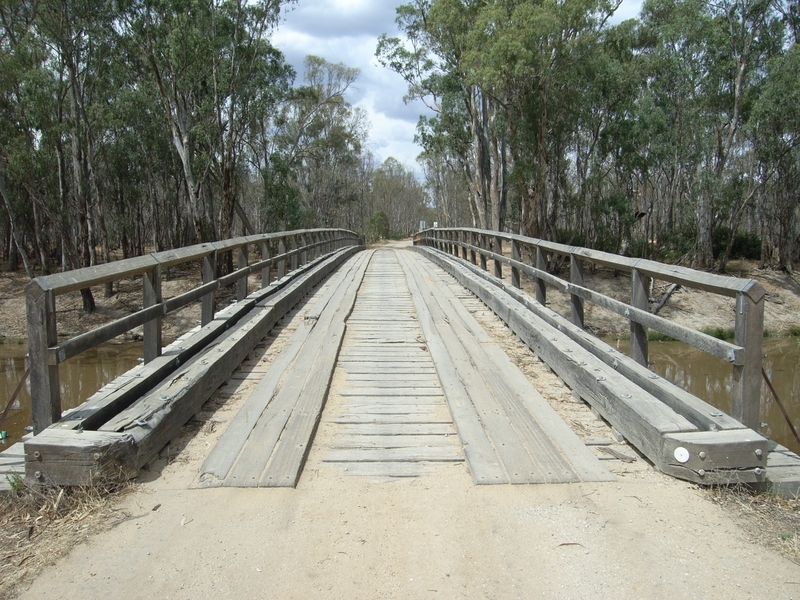 The timber bridge connecting the township of Koondrook to Gunbower Island across the ana branch of the Murray River known as Gunbower Creek was built in 1906. The bridge features an unusual hump-backed design and relatively narrow sawn (rather than hewn) stringers or beams. These bridge beams are spliced mid-span to produce the effect of continuous beams which are not corbelled where they are supported by the trestles. The bridge was probably designed by Kerang Shire engineer SG Nish and was built by contractor James Flight for £512. 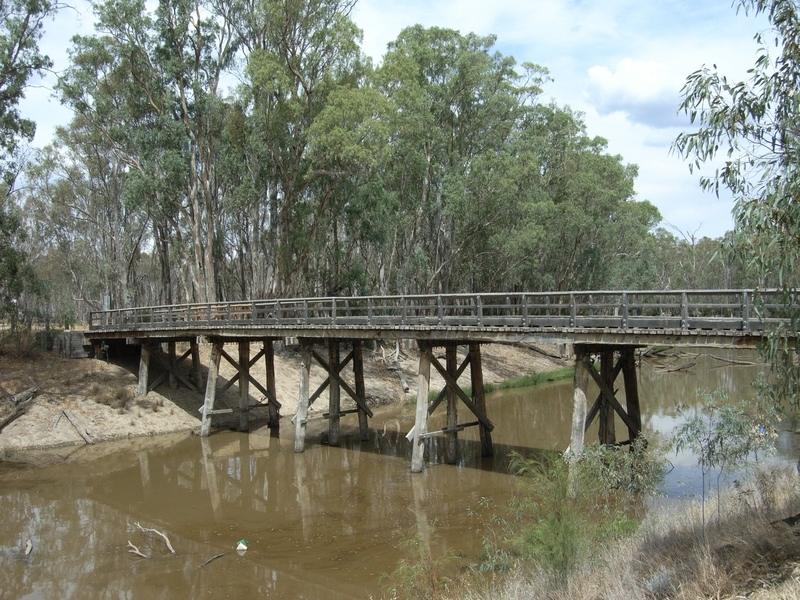 The bridge was used to connect the timber and farming areas of Gunbower Island to Koondrook and thence by the steam tramway to Kerang and the State rail network. For many years the bridge has been known as Condidorio’s Bridge after a Koondrook family who owned market gardens nearby. The bridge had not been well maintained and most of its original timbers have rotted. In 2000 the bridge was dismantled and reconstructed, essentially to the original design, using new timbers wherever necessary. Some original components of beams (non-structural) and ironwork have been retained. Condidorio’s Bridge is scientifically (technologically) and historically important to the State of Victoria. Condidorio’s Bridge is of scientific (technological) and historical importance as a rare, possibly unique, Victorian example of a timber bridge which contains the unusual elements of a humped profile, continuous beam construction, squared sawn members and lack of corbels. 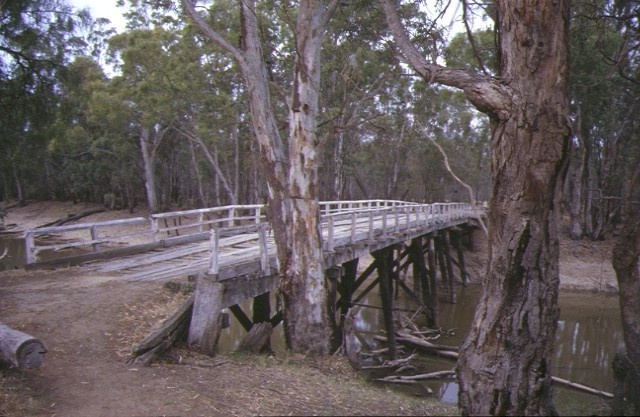 Condidorio's Bridge is historically significant for being both reflective of the importance of red gum saw milling to the Koondrook area and to Victoria through the materials of its construction, but also in being an aid to the continuance of that industry through its use in bringing logs to the sawmill and tramway. 1. 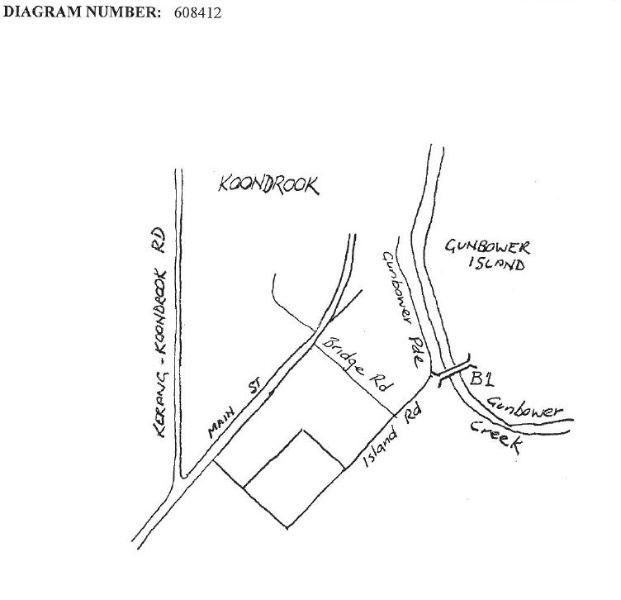 All of the timber bridge marked B1, Diagram 608412 held by the Executive Director. * Emergency and safety related works. The significance of this bridge lies mainly in its design elements and construction materials. Permits should be granted for works which preserve its unique character.